OBIE winning 3D work by Boone Oakley Advertising. They parked a car underneath the board with a "For Sale" sign on it. 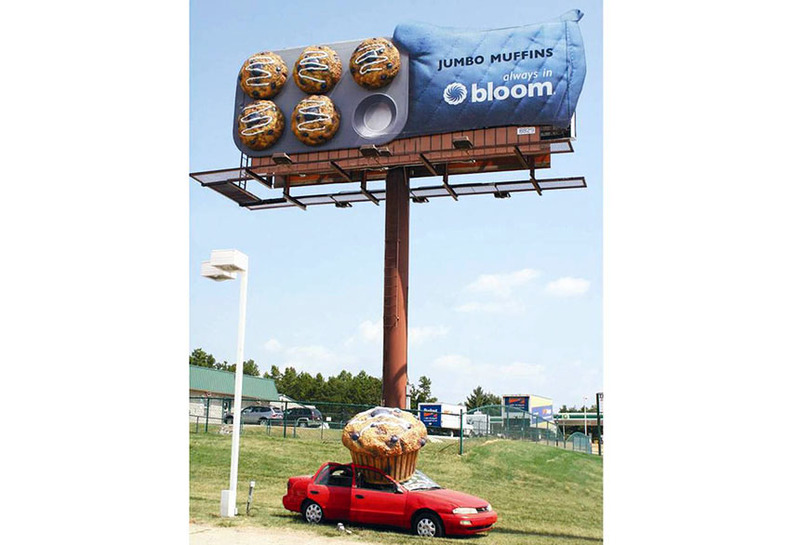 A week later, one jumbo muffin "fell" out of the pan and crushed the car underneath the billboard. This "accident" started a media frenzy in the Charlotte area.